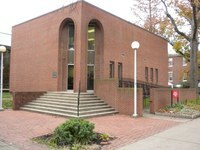 The University of Louisville hosts over 400 student organizations which cover a wide variety of student interests. These groups provide a wonderful opportunity to become involved in campus life and to connect with other students on campus. The university provides an abundance of activities and programs to assist you with participation in the campus community and in developing your leadership skills, mental and physical well-being, and exposure to diversity. For a printable version of the contact list please click here.